"Decent platform, willful disregard for integrity of reviews"
Solid platform and useful dashboard features. As others have noted, the available mechanism to alert Trustpilot of reviews that are fraudulent or otherwise violate their own User Guidelines is very poorly designed. It seems that TP doesn't actually want companies to report offending reviews. If you are able to successfully report an offending review, prepare for a response from the TP "compliance" team that ranges from unhelpful to hostile. In several years as a TP customer, I have reported a handful of invalid reviews. Rather than being appreciative of these being brought to their attention the TP "compliance" team has routinely been dismissive without making any apparent effort to determine the veracity of the reviews or confirm that they comport with the TP User Guidelines. Explore other, less expensive solutions if you don't need all of the bells-and-whistles. Do not expect to receive any meaningful support from their "Customer Success" team. If you have an issue with an invalid or fraudulent review, their "compliance" team is basically useless and you're likely to be stuck with the review whether it's fake or duplicate. The fact that TP is a third party adds to credibility of the reviews that our company earns. The benefits are difficult to quantify, but because of our high score we're likely viewed favorably to customers that are shopping around. Thanks for the feedback. Our compliance team works hard to investigate reported reviews on their end, but there’s always room for improvement. We’ve already passed your feedback over to our team to improve upon for the future. As always, feel free to follow up at compliance@trustpilot.com. "Great but missing a few things"
I like best the amount of resources they have for me to look at and use to try and find the best way possible to use the resources. I also like the designs of the widgets that I can use on the website. Last but not least, is how easy it is to use their site and see the data that I need to know. What I would say I like the least would have to be the start rating at times. For example, You can really be close to 5 but it shows as 4 not 4.5. Also, I dislike the fact that it can be hard at times to get a review that isn't meant to be there off due to the way that this is set up. We have a lot of great reviews but so are there that we have reached out to the customer and tried to make everything right, but still their bad review shows on our page. If this could be easier to fix that would be great. To look into what you are about to get and to make sure that you are using all the support they give. If you have a questions they have help and a video for everything! We are solving how to get customer feedback in a good return rate for response. Trustpilot also helps us put out what our customers say about us to gain new people on board! We’re so happy to hear you’re enjoying Trustpilot’s resources, widgets and finding our platform overall easy to use! It's great that you’re getting the most out of your Trustpilot experience by hearing what your customers have to say and gaining new customers with the help of reviews. We appreciate your feedback regarding our star ratings. Our star rating is meant to show the most accurate TrustScore for a company, but we hear you and have passed along your feedback to our team. We’re an open platform so anyone who’s had a true buying or service experience can leave a review - positive or negative. However, you’re always free to report reviews that go against our guidelines. If you have any questions, please feel free to contact your Customer Success Manager or our Support Team. What Product Reviews solution do you use? "Great Review System at a Great Price"
How easy it is for customers to review our website. We used Reseller Ratings in the past, and it was just no non-user friendly. We get 5x the reviews with Trust Pilot than we did with those guys. Will never go back. It can take some time for certain reviews to be removed. Many times our customers write negative reviews about products, not our service, and it can sometimes take up to a week to have them removed. Try it with the free option first. If it works, then go to the paid option. Reputation management and gaining trust online. We are up against a lot of competitors and want to make sure customers know they can trust us online. Telling people to trust us is not enough. We need to show what our customers think about us as well. Thanks for the feedback. We’re so happy to hear your reviewers are finding it easy to share their experiences on Trustpilot and that you’re getting 5x the reviews with our platform - that's awesome! We totally get the frustration of reviews that aren’t meant to be posted on your company page and our team helps by looking into each reported review as much as possible. You’re always free to report reviews that go against our guidelines and follow up with our team at compliance@trustpilot.com with any urgent questions or concerns. So glad to hear you’re managing your reputation and building trust with Trustpilot reviews! Customer confidence is key in this day and age and we’re so here for you using Trustpilot to build that with yours. "We've really enjoyed our experience with TrustPilot"
TrustPilot is always rolling out new features and services that make showcasing and capturing our reviews easy. They do a great job of keeping customers updated on new features. It can get expensive real fast. For smaller organizations with tight budgets, its hard to put a lot of money into a service, that is really well built and feature-rich, is ultimately just a review site. Understand what your specific needs and familiarize yourself with the settings, tools and features so that you can quickly see a ROI. Our industry tends to have a bad reputation and it's such a basic service that people rarely think about it when things work well, but because it involves their money, they are quick to leave negative reviews - justified or not - so we really need to make sure that when we have a successful customer experience we can capture that. Trustpilot makes that really easy. We’re so happy to hear you’re enjoying our ever-improving dashboard to help you collect feedback in the quickest and easiest way as possible. We know what we do comes with a price, but we try to accommodate everyone as best as possible with plans ranging from free to enterprise. We’re so happy to hear you’re capturing the real feedback from your customers using Trustpilot. We hope you continue to enjoy your Trustpilot experience and feel free to contact us with any future questions or concerns! The site is used a lot by our customers and provides us with a lot of information to help us build a better rapport with our customers. All of this again allows us to give the customer a better experience and allows us to understand where we are falling short. Like any site, you are mostly only going to get people that are angry with their products. You will also get some that are happy. Unfortunately, this gives us an inaccurate reading on how the company is doing overall considering there may have been 20 bad reviews 0 good reviews but we sold 1000 parts. In my mind the 980 parts that did not review are happy customers and should effect the score somehow. Sadly this scoring system can give companies and or products a bad name and cause customers to stray away. A good idea may be to say that this part or company has a 2 star rating due to 28 bad reviews however the company has sold 8 million parts. You should use this program to enhance your customer service team. Bending your policies to help the folks that took the time to review your site will enhance your score and give the general public and better view of your company. The best part about this is you get a customers point of view in the raw. This allows you to fully understand how the customer feels and try to work on it if it is within your companies policy to do so. We’re thrilled to hear you’re using your customer feedback to power your business forward. We’re sorry for any trouble with our rating process. We’ll definitely look into adding more details about the reviews that play into a company’s TrustScore. As of right now, we rank a company based on all reviews left on Trustpilot. You can always work with your Customer Success Manager for tips and tricks on how to up your game and gain more reviews for your Trustpilot page. We’re so happy to hear you’re using the feedback from Trustpilot reviews to up your company’s game. That’s what we’re here for - to bring companies and consumers closer together to create ever-improving experiences for everyone! There are a lot of features that a small business like ours can benefit from. I like the user friendly GUI they have. I like amazingly quick customer/tech support. The graphics etc are great. Their rankings on the search engines are excellent. Fighting a good fight with our New Born competitions. We have not had a competition in over 20 years. And now there is one in each city. We have many reviews on google, but our competition is loading up with new reviews on trustpilot. Now we have an account as well. Thanks for the review. We're so happy to hear you're enjoying many different aspects of Trustpilot including our dashboard, quick support responses, and SEO rankings! We appreciate your feedback regarding aggregating reviews from different venues and have passed along your feedback to our product team. We hope you continue to enjoy your Trustpilot experience and please feel free to contact us in the future with any questions or concerns. The invitations are the easiest to send out. They are simple, clean and good design. Our reviews are extremely important to our company to show our potential customer the value we can bring as well as all other satisfied customers. The cost is a little high for generating reviews on a third party website. Would love to see a filter option and an easier way to upload contacts without needing to download the template file and format our file to match the exact names of the columns. Reviews are extremely important and the more you can diversity and utilize all your resources you will benefit from customer retention and repeat customers. Improving reviews, Rich snippets on website. The ability to see reviews on the google serp is a huge benefit and while it lasted, the google adwords connection was also beneficial. So glad to hear you're finding our invitations easy to send out and well-designed. We know what we do comes at a cost so we offer plans ranging from Free to Enterprise to try and match everyone's needs. Feel free to contact your Customer Success Manager if you'd like to chat about making the most of our platform. We hope you continue enjoying using our platform and upping your company's game with Trustpilot reviews! I like the concept in theory which is why we initially signed up. Whatever you do, particularly if you are a small or medium-sized, business, STEER CLEAR OF USING Trustpilot. After persistent phone calls, I received from one of their salesmen over a three month period and over 6 emails encouraging me to sign up with links to start a subscription, I finally did sign up. However, within just a week after signing up I realised the service was completely redundant for our company as you require a developer or several developers to really make the most out of the integration or indeed integrated with it entirely. As such, we have not used Trustpilot once in the last three months and I've kindly explained the circumstances to a lady working there, and requested that we terminate our contract early since we were sold a package on a false promise and we would settle any outstanding invoices. I spoke to a graphic design agency and they quoted me £1,500 to complete the integration of Trustpilot, which would require 10 hours of work by their developer. This cost is in addition to the £2,000 I would have to pay to Trustpilot. In effect, this service would cost me double to fully use. I'm incredibly disappointed by their uncompromising position and they've gone on to offer me 'on-boarding' which is what comes as part of the package anyway so I've felt that they have not taken me seriously one bit and just tried to fob me off with what I should be getting anyway! Again, it's their manipulative tricks at play. I would encourage anyone thinking about using Trustpilot to look elsewhere. I had a conversation with another company called YOTPO, a review site and they were open about the requirements for setting up in comparison to this dishonest and misleading company. Do not use Trustpilot as much as it may they claim to be driven by consumers and 'transparency' it is so ironic how they cannot even sort out a situation like this for a small business like ours. I have every intention to fight this through legal means as we will not be bullied into submission by this large and inconsiderate company into remaining into a contract without being clearly explained the technical implications of signing up. PLEASE STEER CLEAR FROM TRUSTPILOT. Find out all the facts before signing up otherwise they will tie you up into a 12 month contract and make it extraordinarily difficult for you to leave. Zero now. We cannot make use of it because we do not have developers to complete integration, which as mentioned were not told during this slick sales calls. Thanks for taking the time to leave us a review. We know we're not perfect and apologize for any trouble you've had when trying to implement Trustpilot on your site. We try to make our platform as easy to use as possible with the help of our Support Center articles, Support Team, and Customer Success Team but have passed along your comments to our Product team. It's never our intention to make it difficult to end a contract with us, so please feel free to follow up with your Customer Success Manager to have this resolved. We're so sorry that you haven't had a great Trustpilot experience and hope our team can lend a hand. "Services satisfactory, but predatory pricing and collection"
Trustpilot would check-in frequently with new features, and were quick to let me know about how these changes affect me. Without notifying the signatory (myself), they increased the price of the annual subscription by 15%. The customer success agent insisted that there was nothing that we can do. After a lot of back and forth about adding services at no cost (the usual sales pitch), there was no productive conversation to be had. So we ended up disputing the charges. We got a refund for one of the months, but then got charged again. The customer success agent (the very same one) was still trying to upsell me during this process. Honestly, I cannot recommend Trustpilot for any company. I would have appreciated a little transparency and honesty, but got neither from a company that handles reviews. We were trying to manage our online reputation, boost our SEO efforts, and gain client feedback. During the year we used it, we were able to see small boosts. "Our trusted review site "
We love that we can connect Trustpilot to our personal website and our facebook platform. It makes it easier for people to see our reviews. I also love that I can use a template for each invitation to review. It makes it so much easier and quicker to send multiple review requests out. There's really nothing I don't like about trustpilot. It's been a great tool for our business and I love that we can place our review where we'd like. I definitely recommend Trustpilot to anyone. This has helped our reviews for our company tremendously. We are able to post our reviews on a trusted site and are able to request reviews with a single template. I love how simple it is to use and love that they are all stored in a single area. Thanks for the review! Your feedback means a lot to us and we're thrilled to hear you're loving using Trustpilot to collect reviews. We hope you continue to power your business forward and enjoy your Trustpilot experience. I like how easy it was to implement on our Facebook Page since our Recommendations aren't available. I like the star rating next to our name on the Google search and I like how easy putting the TrustBoxes on the website is! I don't have dislikes at this time. I only wish I could create automatic response for 4 and 5 star reviews. Make sure you're ready to get the website updated with the correct TrustBoxes. Google does not allow SEO rich snippets to be included on Home page for websites. The Trustbox coding can luckily be easily updated not to be a rich snippet. Aesthetically, you can't change the color of the reviews in the normal business plan. There are no problems. We're fairly new to the platform, we would heave like to upload all of our information from AskNicely over to Trustpilot. It feels like 150,000 responses went to waste since we switched to them. The format to upload files to the "Get Reviews" section could be a little less specific. I can't just upload a csv file with first row headings. The use of Trustpilot by consumers is completely free; anyone can access, read the comments of others and share their opinions. For companies there are a free solution and a paid solution. All companies can invite their customers to write a review and respond to reviews. The companies which choose the paid services have the opportunity to show reviews on their website, using them for advertising purposes to increase their business. When customers write reviews, these should be "suspended" temporarily to be able to do all the necessary checks. In our work it happened that the customer reviews did not indicate the order number or which it was invented. Trustpilot simply asks you to attach an order invoice which may also be falsified by a competitor. Through its integrated search engine you can discover a lot of websites and companies simply by searching the central box. It is possible to get the truth directly from consumers' experiences with all comments and information left behind. Trustpilot encourages each person to share their opinions and contribute to the community. In addition, reviews are not censored, so you can be 100% sure to always read the truth. If people share their experiences, this improves transparency, increases trust and helps build relationships between businesses and consumers. And when companies take feedback into account, including negative feedback, they show customers that they are interested in their opinions and gain their trust. Hi Mauro. Thanks for the fantastic review! Happy to hear things are going well. Don't hesitate to give us a shout if you need anything. "Poor fit for a B2B or SaaS company, further hindered by lackluster service & support." The layout and web widgets are aesthetically pleasing and simple enough to navigate. The AFS is anemic and extremely cumbersome both to get running and to modify, particularly if tied to CRM software email deployments. The platform is heavily reviewer biased and provides little functionality or recourse around reviews for its vendor partners. Reviews also require virtually zero useful or actionable information to be approved for publishing, giving prospective buyers very little insight into the product they're considering and doing very little besides aggregating highly superfluous social proof. There is zero lead capability or buyer intent information. This service is better suited for B2C, product-oriented companies. If you're making a business decision and not a consumer one, look for information on another platform. If you're looking for a B2B review platform partner, look elsewhere as well. We have a review page widget and some perfunctory degree of social proof that has exactly zero influence over the purchase decisions of our prospective buyers. Although we don't strive for a 0 star, we definitely appreciate your feedback and are happy to hear you've found our site layout and widgets aesthetically pleasing. We try to make our AFS system and other features as easy to use as possible and apologize for any trouble. We find that our review form asks for the main points that should be addressed when consumers submit feedback, but we'll definitely take a look at further and see if there's anything we can do to improve. Our platform is meant to support all types of businesses and our team would be happy to help you make the most of your Trustpilot experience. Please feel free to get in touch with our Support Team if you'd like our team to lend a hand. "Trustpilot is our main platform for our reviews"
There are many features about Trustpilot that we like and use, so it is hard to isolate to just one thing. We really like the integration with our CRM so automated emails are sent to our customers requesting reviews. This has produced hundreds of reviews that boost our brand. We also take advantage of the integration widgets and expose our reviews all over our website and Facebook page. We have even integrated the SEO enhanced widget to pull in our rating into search result listings. It would be great if the reviews could somehow be syndicated to other platforms (ie. Google). We don't like asking out customers to review us in multiple locations. So, we primarily ask for Trustpilot review. But, we can't ignore Google and Facebook reviews, so we have to come up with something for those platforms too. The main business problem that Trustpilot solves is building trust in our brand. We want to convey that hundreds of customers have chosen to work with our company, so you are not alone in choosing to work with us. We have also benefited from sales reps being named specifically in Trustpilot reviews and getting kudos for providing great service. Thanks for the great review! We appreciate the feedback. We hear you loud and clear regarding syndication across other platforms. I've escalated this feedback to our product and technology teams, and while I can't make any promises I am happy to relay the message. Don't hesitate to reach out to your customer success manager or our support team if there's anything we can do to help! 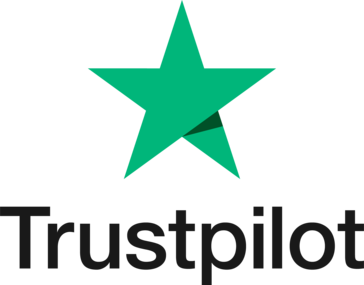 "Good review platform with expanding analytics tools"
Trustpilot provides a useful dashboard to keep track of your ratings, impressions, the source of reviews and rating distribution. Additionally, the "Google Search" section in analytics is really useful and interesting to look through as it provides info on search impressions and clicks. Its a very good platform to use to help your customers feel confident about your business. They provide nice marketing tools to display your ratings on your website. Our business goals are to collect feedback and display to our customers the ratings/reviews we receive. Trustpilot is one of the only platforms that provide ready to go options that can be used to display our ratings on our website. Thanks so much for your review. We're glad to hear your experience with Trustpilot has been a positive one. Thanks for your feedback regarding the ease of use on our templates. A drag-and-drop feature sounds like a great idea. We'll be sure to relay this feedback over to our technology team. I love having Trust Pilot reviews for the company I work for because I believe it adds a level of authenticity. I also use it as a consumer, to check out various businesses i'm curious about. It has helped us in our relationships with clients by adding that final level of authenticity we need. On the flip side, as a consumer, it makes it easier to decide where I will take my business and trustworthy companies. I can't really think of anything I dislike about Trust Pilot at the moment. I am very happy with it from both a consumer and business side. I would recommend it to businesses looking to raise their brand and start building better customer relations. Try it out! I highly recommend Trust Pilot from BOTH a business and consumer standpoint. We have realized it has made a huge difference in the customers opinion of our business. It makes everything seem more legit, trusted, professional. There is something about seeing that "verified" review that puts us above the rest. If anything should ever pop up, don't hesitate to reach out to our customer support team. We really enjoy using Trustpilot because it is easy to use and easy to learn! When I took over sending out review requests a year ago, I was able to learn how to use the program very quickly. I use it weekly for our reviews! I like that I can send the requests directly from the website, without clogging up my inbox. We can customize the email template going out, and reach as many people as we need to. We can see our reviews in one place which is very helpful for us. There isn't anything that I dislike about Trustpilot. It's easy to use, easy to collect reports from, and easy to teach. We use Trustpilot for our Review Request Program. Trustpilot allows us to maintain a pulse on how our customers feel on our product. We can then make sure we are meeting our customer's needs, as well as putting things into our product that the customer can benefit from. Thank you for your great feedback! So happy to hear things are going well. Let us know if there's anything we can do to make sure your experience is a great one. "We should have done this long ago.."
I like the ability to respond to reviews, because many things that customers may take issue with, can be explained in a reasonable and rational manner that typically changes their tune and opinion. It is a fact that often times poor reviews provide an opportunity for us to shine, and demonstrate our dedication towards customer service. Every so often we get a truly unfair and unwarranted review. But that is of no fault to Trustpilot, it's just the price you pay to play. Our business, National Parts Depot (NPD), has always maintained a very high level of customer satisfaction and reputation. Our main challenge is making prospective customers aware of our positive attributes, without appearing boastful or self-promoting. The Trustpilot reviews provide our prospective customers with a vast number of OBJECTIVE accolades that they tend to take far-more-seriously, and to heart, than self-proclaimed marketing claims do. Saying that your company is great is typically met with cynicism. But when your customers say your company is great, that is marketing gold! Secondarily, on the occasion that a poor review is received, it offers us the opportunity to identify and remedy failures in our system or with certain personnel, which is also an invaluable tool for management. And of course, sometimes a bad review comes through because UPS backed over the box, or a customer ordered the wrong items themselves, completely out of our control. You take the bad with the good, but big picture, Trustpilot has been an great asset for us. As a reminder, you can report reviews if you find them to be in violation of Trustpilot's terms and conditions. A reported review will be thoroughly investigated by our Quality and Compliance team and will be permanently removed if, among other things, the review uses personal identifiable information (names, contact information), uses foul language, is defamatory, etc. You can also report a review if you are unsure of its authenticity; Trustpilot's Q&C team will reach out to the reviewer for verification of their experience via a receipt, reference number, purchase order or the likes. Please email our support team if you have any additional questions. "Increase your Consumer Feedback, Brand Recognition and Reputation with Trustpilot"
The Trustpilot program easily integrates into other platforms such as Google, Hoot Suite and Facebook. This drives traffic towards our site, easily invites consumers to provide feedback and allows us to reach a broader audience. Trustpilot is a highly reputable review site which is why we choose them and they have continued to uphold and stay true to our view of them. We haven't run into any technical issues yet that I'm aware of. Trustpilot can be expensive, but worth the price to increase reviews, talk and general public knowledge of your company. Definitely give Trustpilot a try to see if they fit your company's needs. I believe they do offer a free trial. They are indeed trustworthy, but depending on what you are looking for perhaps not worth the price; although, they do have deals etc. that may bring down the price. Overall we are satisfied with our trustpilot reviews and have found that it is an engaging way to increase customer feedback and increase our company's reputation. Being able to integrate trustpilot into your other social media applications is more than convienent. Also, trustpilot is consistent throughout all of your platforms, website, FB, hoot suite etc. Trustpilot is a well known and reputable source for providing quality reviews. Consumers know that they can generally trust the recommendations/commendations from a trustpilot review. This has allowed us to increase our web presence, our brand recognition and reputation. Thanks for the great feedback! We're glad to hear things are going well. Should anything pop up, don't hesitate to reach out to our support team. We're here to help! "Solid platform with growing credibility"
I wish there were an easier way to specify certain variables using the Automatic Feedback Service invitations (for instance, using specific tags in the body of the email). Trustpilot requires a specific snippet of code if I want to specify certain variables. Our current CRM is stripping out the additional snippet of code, making it difficult to implement. We are receiving far more client feedback than ever before. We can leverage this feedback to instill confidence in new clients and address problems that may not have been otherwise brought to our attention. Thanks for the review. So glad to hear you're finding Trustpilot easy to use and are getting some great feedback from your customers. We definitely understand your comments regarding our AFS feature and have let our team know of your feedback. In the meantime, our Support Team is always here to lend a hand if you'd like any assistance or tips from them. Feel free to give them a shout at support@trustpilot.com. We're thrilled you're receiving more feedback than ever and that it's helping your clients to have confidence in your business. That's what we're here for - to create ever improving experiences for everyone. We hope you continue to enjoy your Trustpilot experience! The feedback which is left by customers helps one in deciding purchasing of goods from websites and if they are trusted or not. Short reviews and feedback by customers are very helpful in making decisions. We could also review about the websites we like. Well, nothing much in particular. The site may not stand true always as there are instances where certain websites do pay people to review posts. Thus it might not be a true reflection of what it ought to be. Also there could be bias which could have a negative impact. I would generally check about the validity of a site by comparing with the customer feedback given and if I should go ahead with purchase. One thing I did want to address is that it's a serious violation to pay for (or incentivize in any way) positive reviews. Our compliance team strictly enforces this, regularly investigating people and services offering positive reviews in exchange for compensation. Those found in violation are subject to penalties, including removal from the Trustpilot platform regardless of whether or not they are a paid customer. In addition, Trustpilot's technology, including advance algorithms, are constantly on the search for fake reviews. For more information on now we combat fake reviews, please follow this link: https://www.trustpilot.com/trust/combating-fake-reviews. We appreciate you taking the time to leave a review on Trustpilot! Don't hesitate to reach out if we can be of assistance. "Great tool for any business, regardless of size!" First and foremost, the level of attentiveness and support we've received from the Trustpilot team is unequaled. We've had some challenges with getting buy-in from our service teams, and Trustpilot has been great with providing resources and brainstorming ideas to get team members to send review invites to customers. We partnered with Trustpilot because we wanted to have a fair, unbiased platform where our clients could go to review our services. We were having issues with Facebook, where trolls were posting negative reviews about our company and employees, and Facebook was not responding to our requests that they review and remove the reviews. Trustpilot posts all reviews, but they also have a fair process where a company can dispute a review posted by a non-customer and have the review removed. Additionally, the reviews our customers post on Trustpilot give us great insight into what we're doing right as a service provider, and areas where we need to improve. Invaluable insight. Thanks for the feedback! Our team is always here to lend a hand and are so happy to hear you've experienced our 5 star support. It's nice to hear you're taking the feedback from your Trustpilot reviews and using it to up your company's game. We hope you continue to build trust, collect reviews, and enjoy using our platform! "Super Responsive and Helpful Team"
My questions are answered quickly and thoroughly. My account rep, Kyra, consistently checks in and is always willing to help me find better ways to streamline our review request process. Manual process to send request emails. There may be a solution to resolve this in the near future, though. Trustpilot has helped us achieve our goal to increase our online presence as well as improve our rating. Now, when prospects research our company, we are present with solid star ratings and multiple reviews that strengthens trust of potential customers for us. Thanks for the feedback! It's so great to hear that Trustpilot's helped your company to achieve the goal to increase your online presence. That's what we're here for - to bring companies and consumers together to create better experiences for everyone! We'll definitely pass along your comments regarding a manual process for email requests to our Product Team. We hope you continue to power your business forward with Trustpilot! "A solid platform for collecting reviews"
I love how I can tag reviews. It makes it easy to keep track of the main issues as well as what we're doing the best. I also really like the email notifications-- it gives me peace of mind knowing that I am always aware of any new reviews that come in. I don't like how I am not notified when a customer responds to a reply that I left on their review. It will only alert me if they update their review. Do it! It's a very user friendly. While they are missing a couple features I would like to see, I am confident that they will only continue to improve. I am aware of what the customers love and hate about our product, which is very useful in determining what needs to be changed. Thanks for leaving Trustpilot a review! Glad to hear our tools are proving to be effective for you. "Trustpilot, not to be trusted. Crippled & inadequate Product Review Platform. No way to Evaluate"
We gave the service a trial after a promising demo. While the review system might be applicable for Company reviews, their Product Reviews ( a completely different system) is pathetically inadequate. We thought these problems were trivial from an product improvement standpoint & could be dealt with quickly & efficiently. After two weeks of trying to get a straight answer, just *if* the two specific points could be implement [line-break support & more lines of preview] from the implementation/sales team, we decided to switch to Reviews.io, who incidentally charge only a tenth for a far superior product. Most galling of all, despite never implementing the platform, & making it very clear over several communications on the specific technical issues that prevented us from adopting the Trustpilot, they continue to harass us for payment. In summary, there a distinct sense that this company has become complacent, wafting on previous success, & is now using unethical practices, such as locking Companies into annual memberships without trial, in order to sustain their floundering platform, rather than improving their product. If you want a decent Product Review platform, avoid this company like the plague! So sorry to hear about your experience with Trustpilot. This type of feedback is quite unusual for Trustpilot, so we'd like to do what we can to help make things right. I have escalated your feedback to both our compliance team and our finance team. You should be hearing from us shortly. "Great Platform for collecting consumer reviews"
The platform is easy to navigate and use, customers can post a review in less and a minute. Also like the features that enable you to respond privately and publicly to a review. Good follow up with account reps who are helpful in suggesting ways to use the platform to your advantage. There is currently no integrating with Zendesk, which is tricky if you work in customer service as we don't want to have to send 2 review emails. Would love it if there was a way to have one review that could populate to both systems. It's a good tool and helps when it comes to managing online reputation. Working with the TrustPilot team helped us to strategize a way to improve our online score, which is of course very helpful as it builds confidence in customers and prospective leads when you have a positive score. Thanks for the feedback. It's always nice to hear from our customers that they're enjoying our platform, features, and customer service. We totally get your comments about using Zendesk for sending review invites. For now, we'd recommend using Zapier to integrate Zendesk and review invitations, but our Support Team can explain further if you'd like at support@trustpilot.com. We hope you'll continue enjoying using Trustpilot to build confidence in customers and potential new customers! "Be aware with automatic renewal. You will stuck for a year even they change their fine prints. " Lots of customer participation in merchant review and easy to navigate how the merchant is doing. Forcing annual contract without consolidation. Ridicule changes on how they provide their service (hint: Google Shopping). Hard to reach customers who left the negative reviews and do not provide any type of support to resolve these negative reviews. Find a way to reduce the requirement of Google Shopping. Trustpilot was great when it wasn't having any necessary requirement to feature on Google Shopping. Now, to most of the merchants, this is a useless tool. Forcing annual contract even though they know that it is unfair to force them to small businesses. Even getting an answer to the contract, it took over a month to say we are bad luck. Not happy with their business practice model. Please make sure you do your research before sign up. Don't get fooled by "free trials". Thanks for taking the time to leave us a review. We're happy to hear you're finding a lot of customer participation with Trustpilot reviews. Please know that our team will enforce contracts as they've been agreed upon. We have our Find Reviewer tool that allows companies to try and resolve any issues with unknown consumers and our team tries to offer the best advice for handling poor reviews. Your Customer Success Manager will have some tips and tricks on responding to reviews if you'd like to contact them. Regarding your feedback on Google Shopping and/or Rich Snippet stars, please know that ultimately, Google controls those requirements, and while we are a Google Review Partner we simply can't guarantee your company will achieve GSR or Rich Snippet starts in organic search. However, we can help to make you eligible. We've passed along your feedback to the relevant teams but please don't hesitate to contact our Support Team or your Customer Success Manager with any other questions or concerns so we can do our best to improve your Trustpilot experience. I went through a few review providers before finding Trustpilot a few years back. It was easy to implement and has been even easier to maintain. Training in our reps in how to use the admin panel and best practices in replying to reviews takes minutes, and adds a great element to the customer service we provide. I've also utilized a few of their on-site tools effectively. No complaints really. I've found their pricing to be fair, and their support to be responsive and helpful. If you are going to use it, get the most out of it as you can. Don't just collect reviews, reply to them. Use this as a customer service tool. Tremendous SEO value and trust factor. Thanks for the review - we're so happy to hear you found Trustpilot! We try to make our platform as user-friendly as possible and are thrilled to hear your team is finding it easy to use. We definitely agree with responding to reviews for your company and taking that feedback from the reviews to power your business forward. We're here to create better experiences for both companies and consumers and are so happy that you're finding our platform to be useful. We hope you to continue loving your Trustpilot journey! "Frustrated with reporting and compliance process"
I like that the process of collecting reviews is simple and they are easily sorted in the dashboard. 1. I wish that there were the ability to save a signature that would auto-populate when responding to customer reviews. This would eliminate copying and pasting our business signature and contact info on each response. 2. It would be extremely helpful to be notified when a customer responds to their review. Without notification it's hard to know when customers have replied to review responses we've sent. 3. TrustPilot's options for reporting reviews are limited and oftentimes do not have the option we need. In most cases, the compliance team determines that the reported review doesn't "contravene their rules for the reasons it was reported" -- but that is because they do not provide options for reporting all types of reviews. For positive service reviews that the customer accidentally awards a 1 star review, we are left to either have the reviewer go and update their review (which we ALWAYS try to facilitate) or the investigation is closed and we are negatively impacted by the erroneous review. TrustPilot can conveniently "take a neutral stance" because this particular case doesn't contravene their user guidelines or reporting reasons- because these particular reviews are not addressed in the guidelines or reporting options. Another example that we have run into is that we receive several fraudulent online orders on a daily basis, and while we only have a handful of negative reviews as a result, we do not feel that we should be penalized for orders that are not legitimate. The people who submit these reviews used another person's card fraudulently, the payment was disputed by the cardholder, the funds were returned to the card, the order was canceled, and yet we have no control over the review process on Trustpilot. We've been informed that the only way to remove these types of reviews is to provide a police report or documentation from a government agency. We are dumbfounded that Trustpilot is unwilling to accept documentation from a well-known, reputable and trusted payment processor as proof that these transactions and orders were processed fraudulently. We do not submit police reports for these fraudulent transactions as many orders are small dollar amounts, frankly, we do not have the time to do so, and ultimately nothing would come of it. Ultimately, our greatest complaint is that the user guidelines and reporting options are extremely limited. We feel that our options for recourse are basically nonexistent and our overall rating is being negatively impacted because of it. 3. The responses we receive from the compliance team seem like a copy, paste, auto-response. We're not looking for something overly personable, but feel like our concerns are being addressed by a robot. TrustPilot has been great for our company to collect reviews, but we've experienced some major frustration in the reporting and compliance process. While I would still recommend TrustPilot based on their review collection and the positive impact our excellent rating has had for our company, I am far from satisfied with the review reporting guidelines, options and compliance team. We are pleased with the ability to collect reviews from our customers and have our positive rating be visible online. Social proof works wonders! Our reviews have also been a great way for us to get to know our customers and see what we're doing well and what we can improve upon. We're so sorry to hear about your frustrating experience thus far! Let's see if we can try and get some of this resolved. Based on your feedback, you obviously have some legitimate reasons for reporting some reviews. Apologies that the process hasn't gone as smoothly as we would hope. We'd be happy to relay this feedback to both our compliance and support teams. In the mean time, please feel free to write an email to our support team and reference this G2 interaction so that we can escalate these issues and aim to get them resolved ASAP. "The Flaw of Trust Pilot"
Nice Dashboard. Lots of marketing widgets and tools. The flaw with Trust Pilot is how the User Guidelines are written. When reading the guidelines there doesn't appear to be any red flags. The problems persist when the User Guidelines are actually applied to a high volume e-commerce business. What you end up with is several circumstances that the guidelines don't specifically mention. If they're not mentioned in the User Guidelines, the compliance team is trained to ignore them as if the issue doesn't exist. In other words: When disputing a negative review, Trust Pilot makes you choose a pre-determined "multiple choice" reason for the dispute. If the reason is not listed the compliance team will do nothing, as they are trained. To solve this problem Trust Pilot either needs to update the User Terms and agreement or give their Compliance team some wiggle room for the "grey area". We've been with Trust Pilot for a year and nothing has been done to change the flaw in their system because Trust Pilot doesn't see it as a problem. On a side note, my company has a 9.6 rating so this is not a rant due poor reviews about our Company. The frustration comes from knowing that if the "garbage reviews" were stripped from our account, we'd be at a 9.8, near perfect. An example of the flaw of Trust Pilot: When we discover a customer has used a stolen credit card we cancel the order and refund the card marking the order as fraudulent within our payment processor. In the event that the fraudulent customer leaves a negative review, Trust Pilot refuses to remove the review without a police report or another government agency. Documentation from a well known, reputable CC processor such as Paypal is not sufficient. A police report for each incident would consume hours of our day and as anyone in e-commerce knows, the police reports fall on deaf ears. Not to mention we catch 99% of fraud and never ship the product so technically we have not lost with the exception of the negative Trust Pilot Review that area not disputable. This is 1 of many scenarios we've encountered with Trust Pilot. I'm currently looking for a better solution. Aside from their strict and unreasonable guidelines the product feature portion of the reviews is also limiting. They do not allow a product to be reviewed in multiple categories, a customer either likes it or does not like it. When comparing Trust Pilot to other review platforms, Trust Pilot does not have an advantage, doesn't solve any problems particularly, and offers no exclusive benefits compared to other review collection sites. Thanks for the feedback - we're so happy to hear you liked our dashboard and appreciated our range of marketing assets and tools. We've tried to be as clear as possible in our User Guidelines and apologize for any confusion in the way they were applied to reviews left for your company. Our Compliance Team is trained to handle these types of cases, but there's always room for improvement so we'll be sure to pass along your feedback. We definitely want to make things right! Please feel free to follow up with our Compliance Team about any review you think goes against our guidelines. And as always, please don't hesitate to contact your Customer Success Manager or our Support Team with any further questions or concerns. "Simple to use, trusted platform, dependable"
I like the ease of exporting the reviews for other purposes beyond the Trustpilot website itself. Also the ease of responding to reviews is great. Often you want to notice the lower ratings and respond asap, and Trustpilot makes that very simple to do. Nothing has bothered me so far! I think anyone who has reviewed products will intuitively understand the platform when looking at reviews for their company. We seek to solve customer dissatisfaction with the purchase experience and product experience. Trustpilot helps us receive and respond to feedback in the most efficient and organized way. Also customers recognize this platform for reviews and we get a high yield of reviews for the number of purchases on our site. Thanks for the great feedback. Let us know if there's anything we can do to make your experience even better. Trustpilot provides a mechanism for our clients to easily provide testimonials related to our services. Our ability to display non-partial testimonials helps prospective clients feel more comfortable doing business with our organization. If a client posts a review and accidently hits the wrong number of stars, they are unable to go back and correct the mistake. We've had an instance where we had a glowing review, but only 1 star because the client was unable to fix the error. Great method to track testimonials. Trustpilot provides us the ability to show funders and prospective clients the results and help that we have provided to our current clients. It provides a sense of comfort to prospective clients prior to them contacting us for help. Thanks for the review - we love hearing that Trustpilot's helping your company build trust and confidence for current customers and potential new customers. We try to make posting and editing reviews to be an easy task, but totally understand that it may be difficult for some customers to update these once posted on Trustpilot. Our Support Team's always here to lend a hand and help walk those customers through instructions on how to edit or update existing reviews. Please feel free to give them a shout or have your customers get in touch at support@trustpilot.com. We hope you continue to enjoy building trust with Trustpilot and create ever-improving experiences for everyone! "TrustPilot is a great addition to the company!" I like that I am all the time finding new features through Trustpilot. Most recently, it's been the review image generator and adding a Trustpilot tab on our Facebook. My small company easily gets overwhelmed with too many features and integrations, it's hard to know what we need and don't need. Take the time to go through each menu option and learn what features are personal and applies to your company. Trustpilot is perfect for my small online only, retail business. Word of mouth and legitimate reviews are a great selling point. Thanks for the review. We're definitely glad to hear you're enjoying our features and platform. We definitely don't want you or your team to feel overwhelmed with too much. If you ever feel this way, please feel free to get in touch with our team at support@trustpilot.com so we can try to help answer any questions you may have. We're so happy that you're enjoying your Trustpilot experience and hope you continue powering your business forward with our service. The platform is very easy to use. The integrations and image generator are essential features that helps to easily display reviews where applicable. I dislike the inability to send invitations at a scheduled date/time. Email performance metrics are not available, so it's unknown how each invitation campaign performs. Trustpilot is a solid partner to help your company gain better customer insights. Because it's a third-party platform, customers are more honest and candid with their reviews. We use TrustPilot to follow up with customers who recently have taken a loan with us. We ask for their feedback regarding the loan product. We review their responses for insights on how to improve our product. There's nothing we love more than a 5-star review! Thanks for the kinds words. Heard loud and clear on the email metrics and email distribution times. We'll relay this insight over to our tech and product team so it can be considered for future updates! "Great way to share feedback from customers. " Trustpilot is a great way for the business to ask clients to leave feedback about using their services. Easy to invite people to leave feedback and helps us drive more traffic to our website too. It's really easy to display all of your positive feedback on your own website too. Trustpilot works closely with Google to add their stars into their search results. Problem is Trustpilot don't have a clear contact at Google for when problems arise. You also need 150 reviews in a 12 month period for reviews to appear in a google search.This is down to Google and not trustpilot. See that it works for your business and you can get enough reviews for the Google rankings if that's what you're after. Overall it can be quite an expensive service but they do have many different packages for different business sizes or uses so the price can be brought down. Trustpilot lets us know what our clients love about our business and what we need to improve. It's great for people looking to use our services too. Thanks for the feedback! Much appreciated. As you know, Trustpilot is an official Google Review Partner (for more information, see here: https://support.google.com/adwords/answer/2375474?hl=en). While we enjoy a great partnership with Google - they source customer feedback from Trustpilot, among other independent sources - certain aspects of Search Engine Results Pages (SERPs) are left entirely to Google. "In most cases, seller ratings only show when a business has 150 unique reviews and a composite rating of 3.5 stars or higher." The good news is Trustpilot's customer success team is here to help you reach that goal and will work with you to achieve your goals. If you ever have any questions or need additional info, please don't hesitate to reach out to our support team or contact your customer success manager. Interface is very user friendly and easy to get the hang of, even for someone that is not very tech-savvy. Overall I like the look and feel and feel very comfortable using it. We love seeing our high star rating appear in Google searches and linking our profile page on our website. We believe our many positive reviews have given potential customers the push to become actual customers! Thanks for taking the time to leave us a review. We're so happy to see that you're finding our dashboard to be user friendly! We know that there are times when our site can load slowly, but our development team is looking into fixing this so we can avoid any slow load times in the future. It's so great that your feedback on Trustpilot has put trust and confidence into your customers and potential new customers. We hope you continue to enjoy your Trustpilot experience and please feel free to reach out if you ever have any questions in the future! "Great Way to Collect Customer Feedback"
The set up was easy and the reviews just seem to flow in. Most reviews are very positive but we do receive negative reviews that help us improve our service. Each review is tied to an order so we can easily address customer concerns. I honestly can't think of anything. We receive reviews daily and they are easy to respond to. I'm not familiar with other review services, but Trust Pilot is fantastic. We see problems with our website and business from the feedback we receive in reviews and are able to address them. We save angry customers by responding to their reviews. Thanks for the feedback! We're so happy that getting Trustpilot setup was easy and that the reviews are flowing in - that's what we like to hear! We hope you continue loving your Trustpilot experience and please don't hesitate to reach out with any future questions or concerns. I love that you can send review request to multiple people at the same time, it is also easy to keep track of out feed back and status of our review requests. I have enjoyed all experiences with Trustpilot, I have no complaints. We are getting all the feed back to better our company. Hearing feed back from our clients allows us to hear the positive, if there is negative feed back, it only makes us better as a company to take the critics and grow from there. Thanks for the feedback! We're so happy you're enjoying sending review requests to more than one customer at a time - we hope we made this as easy as possible to collect customer feedback. So glad that the reviews you're collecting on Trustpilot are helping you to power your business forward and create better experiences for your customers. We hope you continue enjoying your Trustpilot journey and please don't hesitate to get in touch with any questions you may have in the future! "All Your Business Reviews in One Place‎, even in Google Ads"
My travel operator client decided to use this platform to keep their reviews in one place and to showcase their star ratings on Google Ads. We especially like the consumer verification process and the personalized invites you can send to your customers directly from TrustPilot. My only bad experience was that I submitted a ticket once and I had to follow up several times to get answers. I have no other complaints. Trustpilot is only effective with a strong marketing plan around garnering reviews. Be sure to reach an internet marketing consultant like myself or contact TrustPilot's support for help in maximizing your reach to customers. We have been able to feature the star-ratings on our Google Ads and have a one-stop embed solution to add reviews on my client's website and email marketing templates. Thanks for your review of Trustpilot! So glad to hear things are going well. Sorry to hear about your support experience. From time to time we do get bogged down - we strive for perfection, but mistakes do happen! Appreciate the feedback. If you'd like, please reply with your support ticket number so we can investigate the hold up and improve your next support experience. "Great company to easily get customer reviews!" Trustpilot makes it so easy to secure customer reviews. The system is simple to use. Support is excellent. Getting those coveted Google orange stars was a huge win. They delivered on what they promised. I highly recommend them. There isn't anything I dislike. But, in addition to reviews posted on Trustpilot, you do still need to get other reviews on Facebook, Google MyBusiness and Yelp to round out your digital reviews profile. The reviews further boost our SEO program. The Google orange stars are a big win in influencing our Google search ranking. Thanks for taking the time to leave us a review. It's great to hear that we've made it easy to secure customer reviews and have boosted your SEO. We hope you continue enjoying your Trustpilot experience and powering your business forward with reviews! "Building trust in the www is hard but key to stainable growth"
The platform is easy to use, widgets and snippets are easy to implement and getting real time feedback from your customer is priceless. The reports are accessible and easy to customize. Customer Service @Trustpilot is responsive and a great partner in solving issues. I would appreciate if there were different price options, flexible packages to pick from. Building trust - Third party review sites and customer reviews (kind of like word of mouth) are one of the most powerful tools. Customer insights - Good or bad...you can learn from every review to improve your product...customer centric. Thanks for the glowing review. We appreciate it! If there's anything else we can do to help, don't hesitate to let us know! "Overall great experience with Trustpilot"
Even though their wide variety of trust boxes fit in every website layout, the HTML code provided by Trustpilot does not work all the time. I've had some issues with that. I tried using the code provided by the integrations tab after I selected the box I wanted to use, I copied and pasted it in my web builder, but I was not successful. Trustpilot is a great tool to implement in your business; it makes internet marketing easy. As we all know, internet reviews are a significant influencer of online purchases. Potential customers want to know what others think of the product; they want to know the current customer's experiences whether they're good or bad. Trustpilot makes all of this easy for companies and users. We are getting feedback from our customers as soon as they try our product and services; it's very simple. We like how easy it is for us to send invitations for review, and how user-friendly the platform is for our customers to complete it. It also has helped us understand ALL of our customers by letting us filter the reviews by rating to get the most insight. Thanks for sharing your feedback! It's nice to hear that Trustpilot's been an easy to use and beneficial tool for reviews for your company. We love that you're hearing your customers and creating better experiences through your customer feedback! We know we're not perfect and apologize for any trouble you've had with our HTML codes. We've passed along your feedback to our Development Team so they can make any changes to improve our customers experiences. We hope you continue enjoying your Trustpilot experience! "Easy to use platform and great service"
Their platform makes it very easy to respond to clients and to track what is coming in. The ability to set different alerts for a 5 star review versus a 1 star helps us to route the comment to the correct person. We had one minor glitch with the notifications not coming through to us, but a quick live chat resolved the issue. I have no major concerns with their product, platform, or service. There are a couple nit-picky things I could bring up, but they are more of a personal preference than an issue with their system. All in all things are very good. The two main benefits I've seen is the SEO improvements this has brought us, and how easy it has been for our members to leave us additional feedback. Thanks for the review. Great to hear you're finding our platform easy to use and that we helped improved your SEO. We definitely value your feedback so please feel free to share any suggestions or comments with our Support Team or your Customer Success Manager. We hope you continue upping your company's game with Trustpilot reviews and features! "Great ROI, Easy To Use, Knowledgeable Team"
The ease of use, and the amazing follow up from team members! I sometime receive too many emails in a week from different people within the organization but all have different tips and tricks (so it's obnoxious at times but informative so it balances out). Push reviews heavily always, the benefit of having reviews is tremendous. Put Trustpilot on your site, in your signature, on ads, everywhere. The problems that have been solved by Trustpiilot are mainly the lack of positive social presence. Too new to have noticed major benefit but I see the potential. Thanks for taking the time to leave a review. We're so happy to hear you share the same passion for the power of reviews! We definitely don't want to overwhelm your inbox with emails, so we've let our team know of your comments so we can improve email contact on our end. We hope you continue enjoying your Trustpilot experience and upgrading the world with reviews! "Easy to use and integrate"
TrustPilot has a platform that is easy to navigate and has many great options for collecting reviews from customers. It's easy to integrate and set up invites in a few capacities and has been instrumental in helping our company gain reviews. The review count and display does not take into account repeat customers - in our industry of financial services, customer come back for new loan products and should have their repeat reviews posted and counted as they are new "purchases" and new experiences that can be verified. Feedback on processes and experience with us and our partners is one benefit. Customers don't always provide this and the platform allows for honest feedback which is helpful as we try to improve our customer experience throughout their life cycle working with us. Your insights regarding return/repeat customers are valuable. Point well taken. We'll relay this over to our product team for consideration. We're willing to bet other companies might find this valuable as well. "Great Platform with Amazing results"
Compared to other review platforms, TrustPilot has helped cultivate rich, meaningful reviews from our customers. The reviews we receive now are more then just a star rating, but rather a testimonial of the customer's buying experience. That's valuable to our future customers. As of this review, I do not have any complaints. Their customer support has been A+ from Day 1, and their integration is very user/developer friendly. I'd recommend making the switch to TrustPilot. TrustPilot provided a constant stream of reviews to Google and Bing for our Ad campaigns. We're so happy to hear you've seen the value of Trustpilot and are enjoying your experience! Please don't hesitate to contact our Support Team or your Customer Success Manager if you come across any questions or feedback in the future. We hope you continue powering your business forward and building confidence in your current customers and potential new customers with Trustpilot reviews! "TrustPilot was effective in helping our company gather customer feedback through reviews ." TrustPilot made the process for our customers to leave a review very easy, which is exactly what we were looking for. We have received 582 reviews to date. The widget for use to show the TrustPilot reviews on the website is eye catching. Support and our account reps have always been very responsive and helpful. The initial training process was very rushed and uncomfortable. We use SiteLink as our operating system, the process to pull reports and modify for use in TrustPilot is a bit of a hassle. We have multiple locations so had to manually look up reviews by email address to match to customers and label for correct location. Sometimes the integration to share reviews on facebook or other sites doesn't function properly, although support always responds quickly to fix. Receiving customer feedback is important and TrustPilot has helped us achieve some of our goals in that area within a short period of time. Being able to share reviews on social media sites is helpful. Thanks for taking the time to leave a review and congrats on collecting 582 reviews so far! Keep up the great work. We never want to rush our customers through getting setup with our platform and apologize that that happened to you. We've also passed along your feedback about manual lookup and our review sharing integration to our Product Team to improve upon so thanks for sharing. We hope you continue to enjoy using and receiving customer feedback on Trustpilot! the technical team or account managers are always able to quickly address concerns. Been with them for over 3 years and I love how easy they make it to partner with them. Finally, our brand is shown off to the public in a trustworthy way. Thanks for taking the time to leave us a review. We're so happy to hear that you've been enjoying being on board with Trustpilot for over 3 years! We know our site isn't perfect but our development team is always working to improve bugs or site delays on our platform. We hope you continue to power your business forward with Trustpilot reviews. Here's to the next 3 years (and hopefully more)! "How is this even legal? " I like being on hold for 4 hours while trying to speak to a customer service agent. That's always fun. I also like being treated like a child and having this person "explain" to me why things that do not make sense is normal. So yeah I guess I don't have anything I like. Unless I was a crazy person. Everything. Everything that trustpilot stands for. The fact that we cannot get out of a "contract" which basically has us sign in blood. Or how we can't check our "statements" if there are any. Unless you want to sign your soul away to what seems like the digital devil. Don't. It's on par with comcast. Which is also the digital devil. We thought it would be nice to have our ratings show on google. But that doesn't even work anymore due to the fact that google shopping has changed some rules. We thought it was a good idea overall but after a few months it turns out that eating glass would have been a better idea. First, thanks for leaving your feedback. A zero star review certainly isn't what we strive for, but it does help us refine our products and services for the future. Regarding your feedback on Google Seller Ratings and/or Rich Snippet stars, please understand that yes, Trustpilot can help you obtain both of these but there are never guarantees. Ultimately, Google controls that, and while we are a Google Review Partner we simply can't guarantee your company will achieve GSR or Rich Snippet starts in organic search. Re: your feedback on our customer service, do you by chance have a support ticket I can reference so I can get to the bottom of why you were on hold for an extended period of time? If so, I'm happy to help. I'm really sorry you had such a poor experience. If there's something we can do on our end to help, please don't hesitate to let us know. We always strive for a great customer experience and I find Trustpilot keeps us internally on our toes and accountable. It builds energy reviewing and sharing the positive reviews and elevates goals. Unreasonable customers who may have not followed all the available channels concerning a potential issue. There is little protection for the seller here for unreasonable responses - while we've personally re-engage to satisfy them with a positive end-result - there is no protection. Besides that pricing options. Our prime goal was to get feedback and engage and improve listing and shopping feed benefits. I believe we are still building on some of them, but as I said in what I like best - we realize this extra accountability keeps us sharp to the task at hand. Thank you for the review! We are so pleased to hear your experience with Trustpilot has been a positive one. * We monitor all Trustpilot reviews to prevent fraudulent reviews and keep review quality high. We do not post reviews by company employees or direct competitors. Validated reviews require the user to submit a screenshot of the product containing their user ID, in order to verify a user is an actual user of the product. Hi there! Are you looking to implement a solution like Trustpilot?